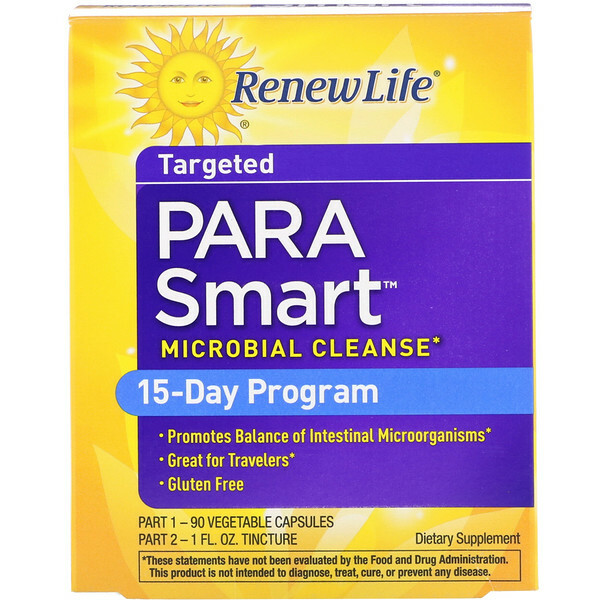 Renew Life Targeted Cleansing Programs are formulated to address your body's unique needs to help you feel your best. 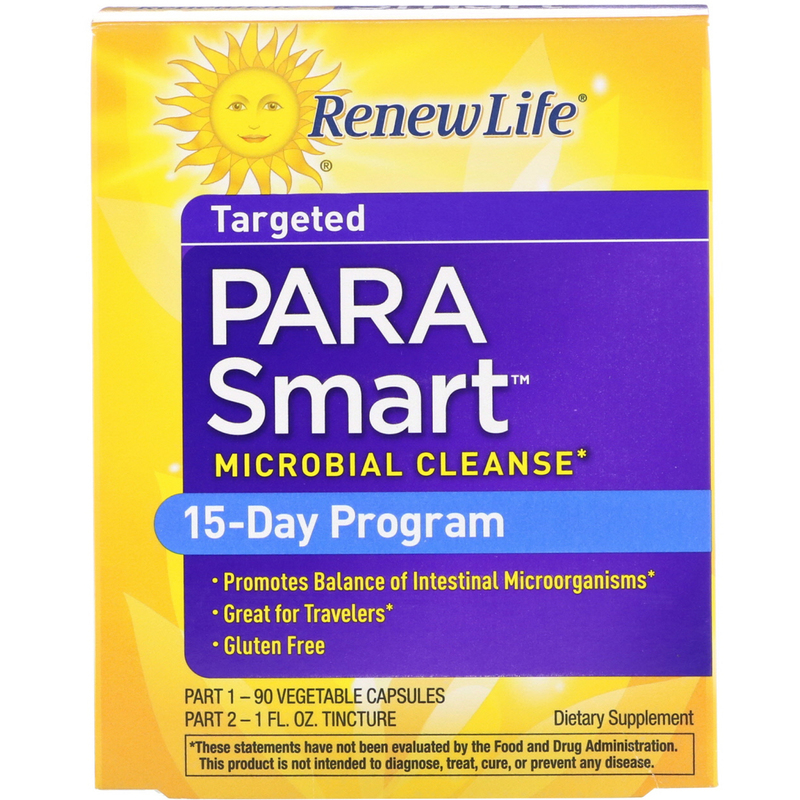 ParaSmart is a targeted, two-part cleansing program made with specially selected herbs and natural ingredients. It's designed to help detoxify and rebalance your intestinal microbes to promote internal harmony. Did you know the we come into contact with toxins every day - from the environment, our food, and even within our own digestive tract? While the body was built to process these toxins, today's world place increased stress on our elimination channels. Renew Life Cleanses help re-establish digestive health so you feel better, lighter, and more energized. 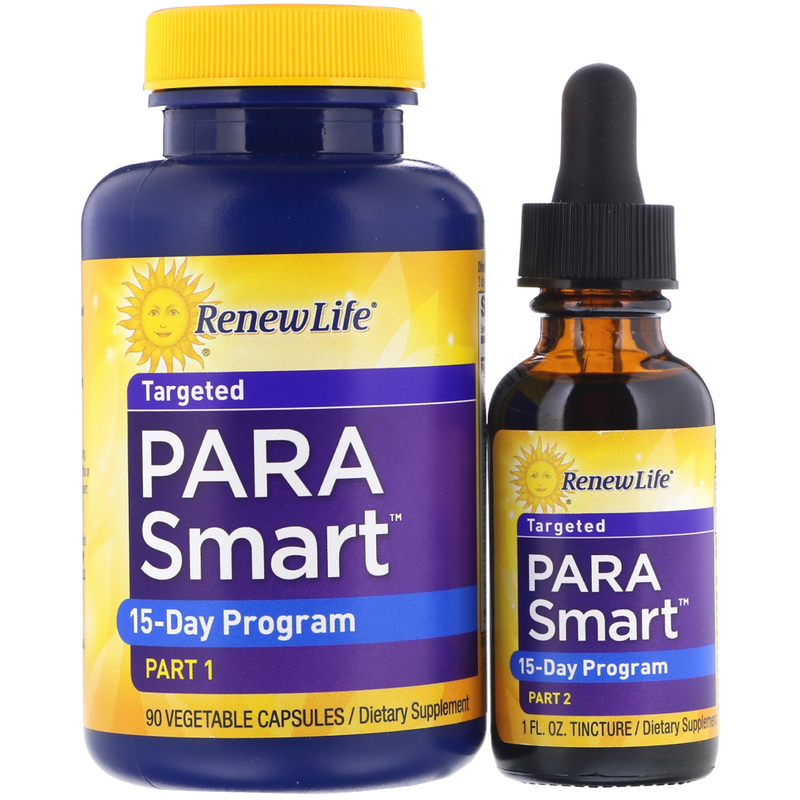 ParaSmart 1 - For the first 3 days, take 1 capsule 3 times daily. After 3 days, take 2 capsules 3 times daily. Take with ParaSmart Part 2. 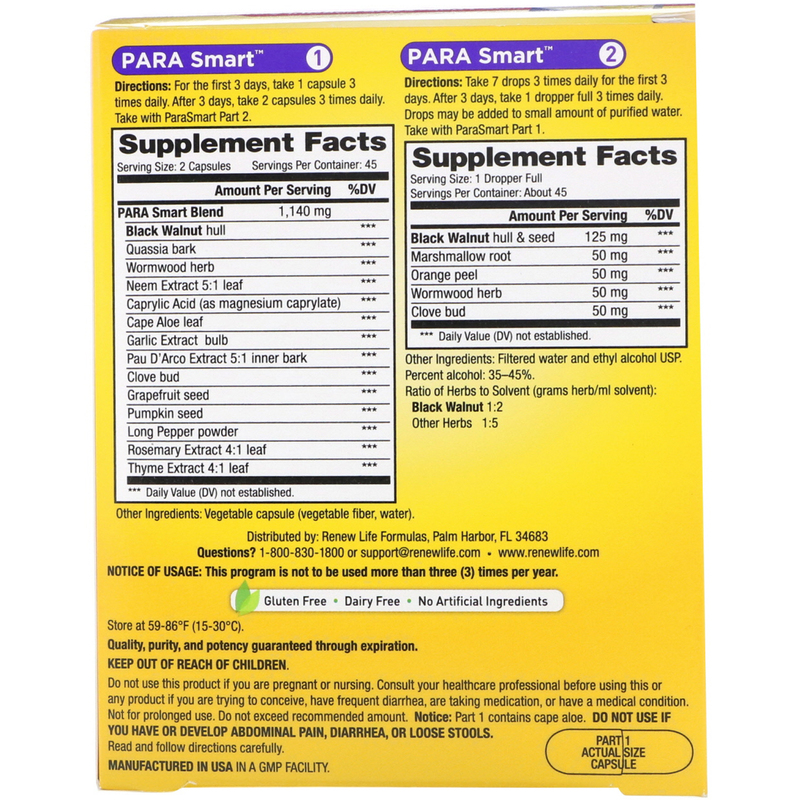 ParaSmart 2 - Take 7 drops 3 times daily for the first 3 days. After 3 days, take 1 dropper full 3 times daily. Drops may be added to small amount of purified water. Take with ParaSmart Part 1. ParaSmart 1 - Vegetable capsule (vegetable fiber, water). ParaSmart 2 - Filtered water and ethyl alcohol. USP. Notice Of Usage: This program is not to be used more than three (3) times per year. Do not use this product if you are pregnant or nursing. Consult your healthcare professional before using this or any product if you are trying to conceive, have frequent diarrhea, are taking medication, or have a medical condition. Not for prolonged use. Do not exceed recommended amount. Notice: Part 1 contains cape aloe. Do not use if you have or develop abdominal pain, diarrhea, or loose stools. Read and follow directions carefully. This product can expose you to chemicals including lead, which is known to the State of California to cause birth defects or other reproductive harm.